Collins Booksellers - A Handful of Sand by Charlie Ward, 9781925377187. Buy this book online. Fifty years ago, a group of striking Aboriginal stockmen in the remote Northern Territory of Australia heralded a revolution in the cattle industry and a massive shift in Aboriginal affairs. Now, after many years of research, A Handful of Sand tells the story behind the Gurindji people’s famous Wave Hill Walk-off in 1966 and questions the meanings commonly attributed to the return of their land by Gough Whitlam in 1975. 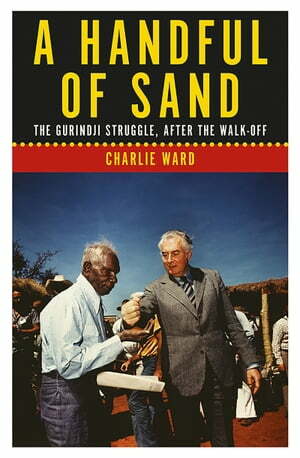 Written with a sensitive, candid and perceptive hand, A Handful of Sand reveals the path Vincent Lingiari and other Gurindji elders took to achieve their land rights victory, and how their struggles in fact began, rather than ended, with Whitlam’s handback.